One look at Sangeetha Yogendran’s résumé and you’d be forgiven for wondering what else is left for her to do in the law. She has spent time with Interpol in France, the Extraordinary Chambers in the Courts of Cambodia, the International Criminal Court and UNHCR in Malaysia and was admitted to the bar in August 2012 as an Advocate & Solicitor of the Supreme Court in her native Singapore. But while undertaking a Master of Public and International Law at Melbourne Law School, Sangeetha found yet another opportunity to broaden her experience. 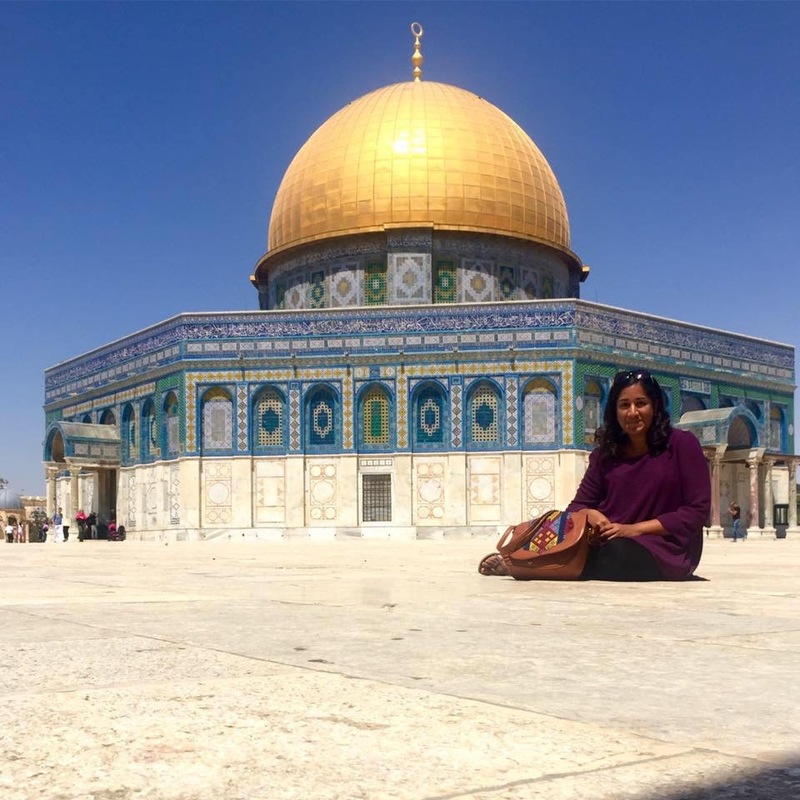 An internship in East Jerusalem was too good to refuse and in June 2016, Sangeetha was once again off to put her skills to the test, this time in one of the most politically, socially and legally complex societies in the world. “As a student of international law, the conflict and occupation in Palestine has always been a source of great interest and intrigue. I wanted to experience not just living under a situation of occupation, but to also learn about the legal issues first hand,” Sangeetha said after spending three months at the Diakonia International Humanitarian Law Resource Centre. “It was an invaluable experience because as a student and practitioner of international human rights and humanitarian law, the Israeli-Palestinian conflict always seemed so complicated to the point of being difficult to even begin to understand. As part of her internship at the Diakonia International Humanitarian Law Resource Centre, Sangeetha worked on various research projects as well as helping the Centre’s legal advisor on specific tasks. “A majority of the tasks were legal research and writing, contributing to Diakonia’s publications, or assisting the legal advisor with research on particular issues or developments,” she said. Sangeetha’s motivations for travelling to East Jerusalem were not based solely on a desire to further her legal experience. This trip had a more personal aspect to it. “As someone with Sri Lankan Tamil heritage, I found myself always drawn to finding out more about the Palestinian experience, and felt that both situations shared many similar themes of displacement and discrimination,” she said. Taking part in the Melbourne Law Masters Legal Internships subject also enabled Sangeetha to obtain credit towards her Master, eventually helping her to graduate at the end of 2016. And, thanks to her experiences, she is already seeing the positive effects the program has had on her work back in Singapore. “Spending time in the occupied Palestinian territories tested almost every bit of international law that I had studied, practiced and preached. For this reason alone it was an incredible experience,” she said.